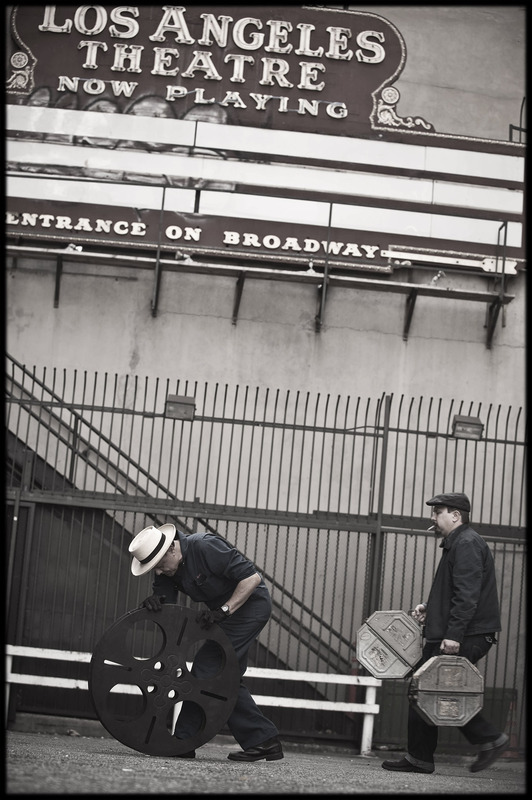 Carlos Grasso and James Slay of Dumfuxx stroll past an old Los Angeles theater sign with their film. Carlos is assuring his reel that everything will be just fine. Los Angeles CA, 2012. Photo by Vern Evans.